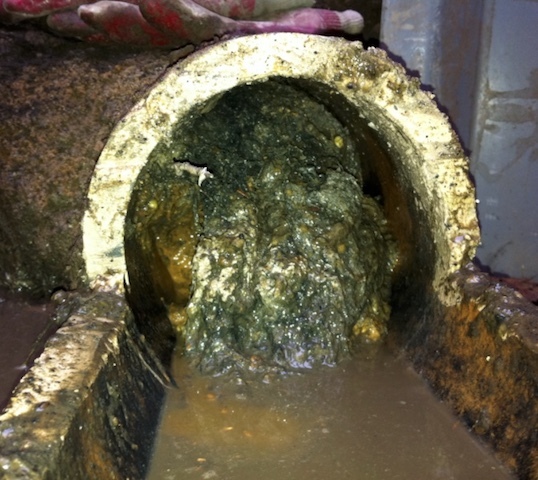 A1 UK Drains are often called to private houses or even commercial premises to unblock drains on an emergency basis. In fact, it's more common in commercial premises, perhaps because people take less care - and comfort in numbers - than they would in their own homes. What are we talking about? The rubbish that people will throw down their toilets! Inevitably, this will cause blockages over time resulting in nasty surprises for users - water and waste that won't flush away or overflow onto the toilet floor, waste that bubbles up through drain covers in the garden and losing the ability to use the toilet until such times as a company like ours comes to unblock the mess. We perhaps don't have the most glamorous job in the world, but we know that householders and businesses alike appreciate the work we do - especially the team at A1 UK Drains that offers 24/7 drainage services. babies nappies - just look at the size of them! Remember, too, that it's not a good idea to flush away things like old medicines, whether in liquid or tablet form. This may seem like a safe way of disposing of potentially harmful medication, but it will eventually end up in your water supply and in local rivers, poisoning - or, at the very least, harming - the fish that live there. Please take any unused medication you no longer require back to your dispensing pharmacist who have safe disposal methods. And possibly the worst offender being flushed down British loos? The wet wipe that can be used for make-up removal, nappy changes, or the antibacterial type that's used for hygiene purposes. People think these are just like toilet paper and will flush away no problem at all. That is, unfortunately, not the case, so please remember to dispose of your wet wipes in a bin, not down the toilet. Lastly, if you're based in south-east England including Surrey, Berkshire, Hampshire or London, A1 UK Drains is the business to call if you have a blocked drain - 0118 973 0999, 24 hours a day, 7 days a week. We also offer contract maintenance services for businesses and homes alike that will avoid any such unpleasant issues arising. Contact us now!